According to multiple analysts’ reviews, Australian Perth Mint 1 oz gold bullion wafer is a smart way of investing in physical gold that comes with lower dealer premiums compared to average gold bullion bars. These gold wafers are comprised with the purest gold content .999 and weigh one full troy ounce each. 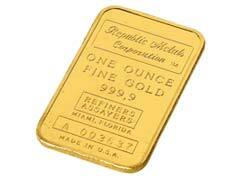 Each 1 oz gold bullion wafer is sealed and comes with certificate of assurance. The front side is embellished with Perth’s own logo, a beautiful Swan, and 1 oz gold bullion wafer specifications. The reverse side is decorated with a small kangaroo pattern arranged in a wafer like fashion, hence its name. Not as many gold bullion dealers currently carry 1 oz gold bullion wafer products but the hefty savings are definitely worth looking for. Silver Gold Bull, for example, carries not only 1 oz gold bullion wafer products but many more other gold investment choices offering a discount if you buy 10 or more pieces. Royal Canadian Mint is another place that mints Canadian own 1 oz gold bullion wafers. The wafer takes its name from small Maple Leaf wafer like pattern that covers the reverse side of the product. Another kind of 1 oz gold bullion wafer that is available on the market is PAMP Suisse Gold Wafer embellished by a beautiful Fortuna Emblem, the symbol of the PAMP Suisse Mint. When you buy gold bullion bars, you invest your money in the actual gold content minus manufacturers’ costs and dealer mark ups. The better value to cost ratio you receive on your gold bullion weight, the more cost savvy investment decision you are going to make. Apart from gold bullion wafers, 1 oz gold Krugerrand coins are sold at surprisingly lower premiums allowing gold investors to acquire physical gold at lower cost over the spot price of gold.